Everyone knows the Wacker Drive.. But few know the honorary street name Ira J. Bach Walkway .. It's the Upper Wacker Drive between Franklin Street and Michigan Avenue [along the Chicago River].. But more importantly, who was Ira J. Bach??? Except for this small head sculpture.. I saw this head sculpture at the Chicago Cultural Center ..
"In developing a general plan, we must look at the city as if it were going to be entirely rebuilt, because a healthy city naturally rebuilds itself in the long run".. Thanks Phil Bach for the information on the sculptor! Thanks Alan Gornik for the information..
which I am posting here.. I like most the first photo. Ira Bach was an MIT trained architect who became Chicago's City Commission of Planning director in the late '50s. Prior to that he was the Exec Dir of the Cook County Housing Authority. 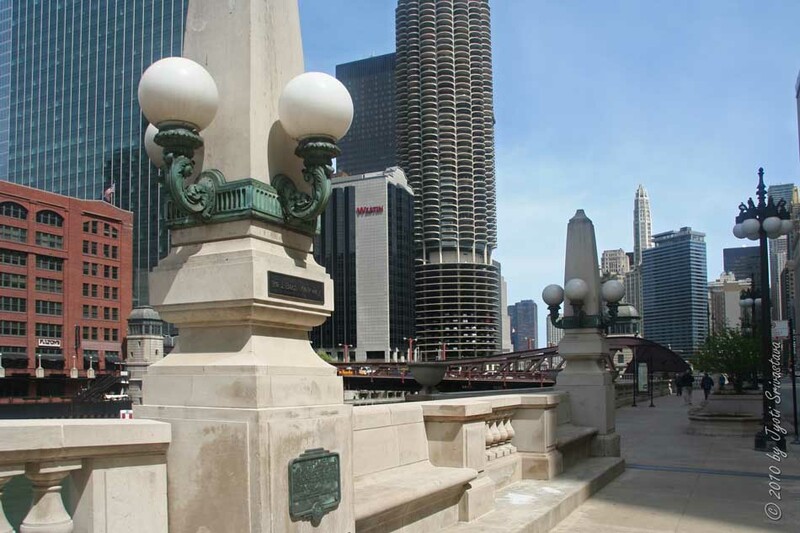 Ira served as the Chairman of the Commission on Chicago Historical and Architectural Landmarks in the '80s. He had many other involvements in Chicago's planning efforts including O'Hare and the El line out to it. In 1983 he published "A Guide to Chicago's Public Sculpture," which remains an essential reference work. In '83 he was Chicago's Director of City Development. 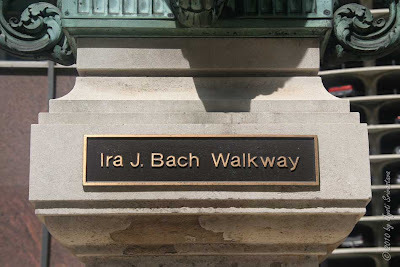 Other excellent references Ira Bach published were "Chicago on Foot" and "A Guide to Chicago's Historic Suburbs" and was editor of "Chicago's Famous Buildings." I took a special interest in Mr. Bach because we lived on the same street when I was a kid. I used to see him walking to the bus. He died in 1985. 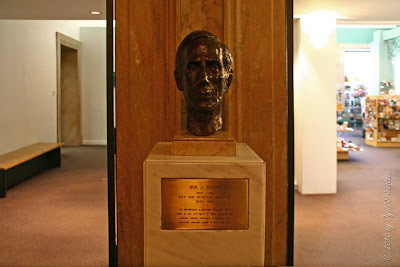 All questions answered except one: who sculpted Ira Bach's portrait bust in the Cultural Center??? I know this is over a year old but I figured I would answer the open question. 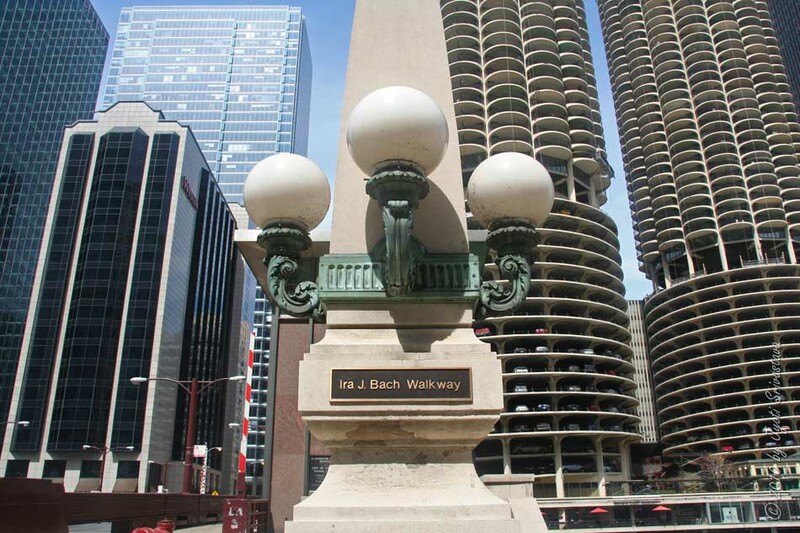 The artist was Fiorle de Hernriquez and the bust was originally supposed to be located on the walkway on Wacker Drive between Franklin St. and Michigan Ave. It was later decided that it would likely be vandalized so it was placed at the cultural center. The walkway was dedicated after a parade on wacker drive and a lunch at a local resturant back in the mid 80's before Ira passed away in 1985. And I know this all because he was my grandfather. 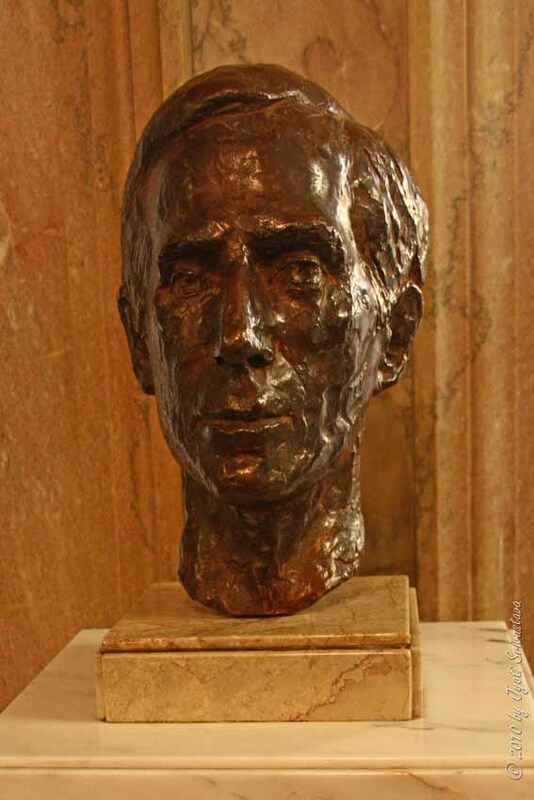 There are two copies of the bust. One at the cultural center and my father, John, has the other. Please let me know if you would like to learn more. Thank You so much for the information. I really appreciate. 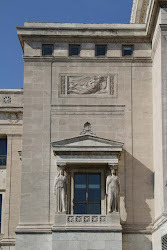 Most of the contents in this blog are like documenting what I learn about the city and sharing it. So any comment on the older posts are welcome too! What exactly is the walkway? Never been to the city but I stumbled upon an old sign that looks just like the one marking the architecture. 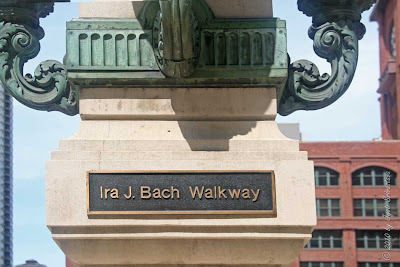 Ira Bach headed the Illinois-Indiana Bi-State Commission, which coordinated planning between the two states. I worked there in the late 70s and he was an inspiring boss - swam every day before work and walked everywhere. His books 'Chicago on Foot' and 'LA on Foot' demonstrated brilliantly his great knowledge of public sculpture and architecture. Is Ira buried in Chicago? A man, skyscrapers and a newspaper! 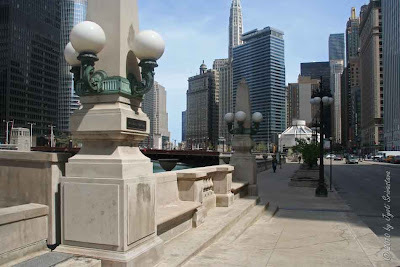 Chicago Riverwalk: An ongoing project ..
Michigan Avenue Bridge & The Roaring Twenties ..
And more images of spring in the city..